motiongate™ is a theme park in Dubai that offers visitors the chance to explore a magical world filled with rides and attractions that are based on a number of popular movies. Perfect for both adults and children alike, the theme park includes fast and furious rides for those who dare to climb aboard the numerous roller-coasters, and an array of rides and attractions – that include Cloudy With A Chance of Meatballs: River Expedition, Ghostbusters: Battle for New York (an interactive ride), Smurfs Village Playhouse (where kids can view a live animated show and interact with Brainy Smurf and the rest of the cast), Melman-Go-Round, and many more – that the kids will thoroughly enjoy. Creekside Park is the perfect place to spend time with your family outdoors, ensuring your children get some much-needed fresh air and exercise while on holiday. With green and luscious lawn as far as the eye can see, there is plenty of room for the little ones to run around while you set up your picnic in the shade under one of the many trees. What’s more, Creekside Park boasts botanical gardens, an 18-hole mini golf course, an amphitheatre, several picnic locations that include barbecue facilities, a mini train that rides through parts of the park, and a number of safe and secure children’s play areas where they are able to climb, swing, and enjoy a day outside. Note: There is an AED 5 entrance fee to enter the park and it is open daily from 8 am until 10 pm. Wednesdays are reserved for women and children only. Situated in the Dubai Mall – one of the largest malls in the world – the Dubai Aquarium and Underwater Zoo will not only provide your children with an entertaining and fun day out, but an educational one, too. 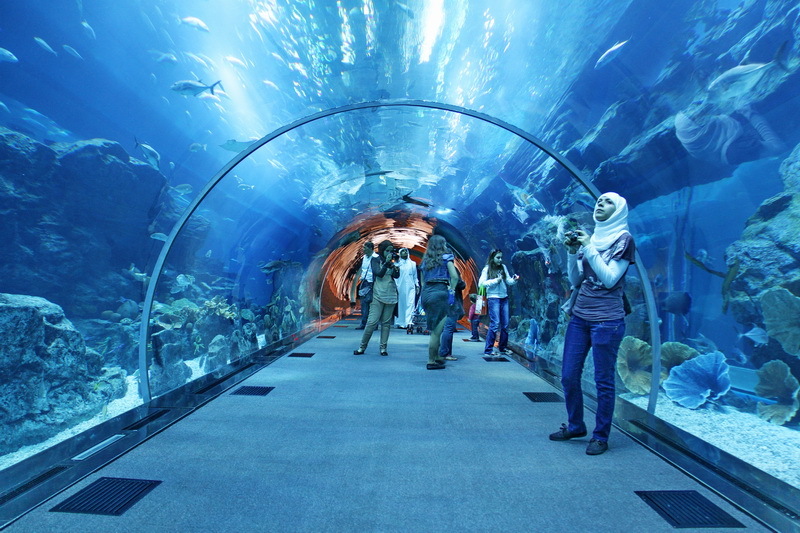 The aquarium includes one of the world’s largest viewing panels, as well as one of the largest tanks in the world, meaning there is no way you or your children will miss out on viewing the numerous aquatic animals that call Dubai Aquarium and Underwater Zoo their home. There is a chance to see the feeding of the Sand Tiger Sharks, King Croc, and the beautiful Stingrays, as well as view a number of educational animal presentations – that include experienced educators answering any questions visitors may have, as well as conducting presentations with their otters, water rats, piranhas and penguins – that take place every hour. Treat yourselves and your children to a holiday filled with fun, educational activities and attractions that will help them grow both mentally and physically as well as learn something new.